Brand yourself by wearing your corporate identity on shirts, jackets, caps, hats and other apparel! Revolutionary Print Management can provide you with branding services for uniforms and special events apparel. Need T-shirts, Hats, or Embroidery? We can help. 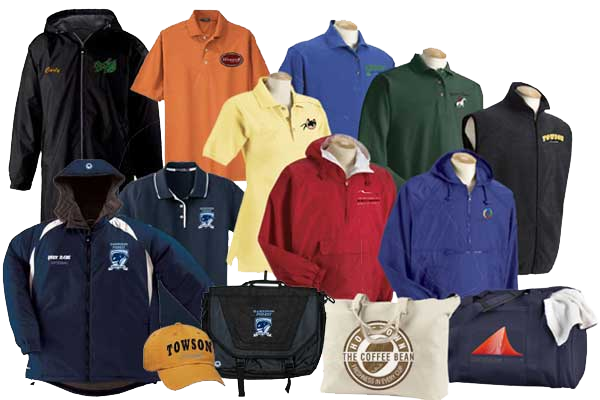 Corporate Apparel, Team Uniforms, Trade Show Giveaways whatever your promotional product needs….. let us help you come up with that new, exciting promotion that your customers will love. Apparel items are by far the most popular tool used by businesses to promote brand awareness or advertise an event or product. Wearables are an effective and versatile product to help get your name and message out there.